Sprouted coconuts are medium to large in size, averaging thirty centimeters in diameter and thirty-eight centimeters in length, and are oval to oblong in shape with many layers of protective shell. The dark brown husk, also known as the mesocarp, is thick, fibrous, dense, and firm. This outer shell is very similar in appearance to a mature coconut seen on the tree, but a Sprouted coconut is distinguished by its location, having fallen off the tree to the ground, and bearing a small root and a slender, green shoot. Underneath the husk, a grey-brown, inedible shell surrounds the core known as the endocarp and has three germination pores or eyes on the stem-end. Inside the endocarp, a very thin layer of coconut oil and white meat surrounds a thick, sponge-like flesh that has a yellow, grooved exterior and a pure white interior. The flesh has a crisp, lightweight, and tender texture, similar to the crunch of an Asian pear or wax apple, but contains a snap-like quality that quickly dissipates into a soft, melting consistency. Sprouted coconuts have a faint, musky aroma and a tangy, subtle salinity that is reminiscent of the flavor of coconut water, with a mild and savory taste mixed with a light sweetness similar to angel food cake. Sprouted coconuts are available year-round in tropical climates. Sprouted coconuts, botanically classified as Cocos nucifera, are a very mature stage of the common coconut that has begun to sprout, and the seed inside the shell has consumed the water causing the interior to become a solid, spongy mass. Also known as the Coconut Apple, Jungle Bread, and Queen’s Bread, Sprouted coconuts are typically ready for consumption 1-4 months after dropping from the tree, and if left to grow, they would eventually become a new tree. Sprouted coconuts have been present since ancient times but were largely localized to tropical communities, discovered as a naturally occurring food source. With the rise of global market expansion, social media, and nutritional awareness, Sprouted coconuts have seen a recent increase in popularity in vegan and gourmet markets for their light, crisp texture, sweet and savory flavor, and rich nutritional value. Sprouted coconuts are rich in omega-3 and omega-6 fatty acids and are a good source of vitamin C. They also contain some fat, protein, iron, copper, potassium, vitamin A, and fiber. 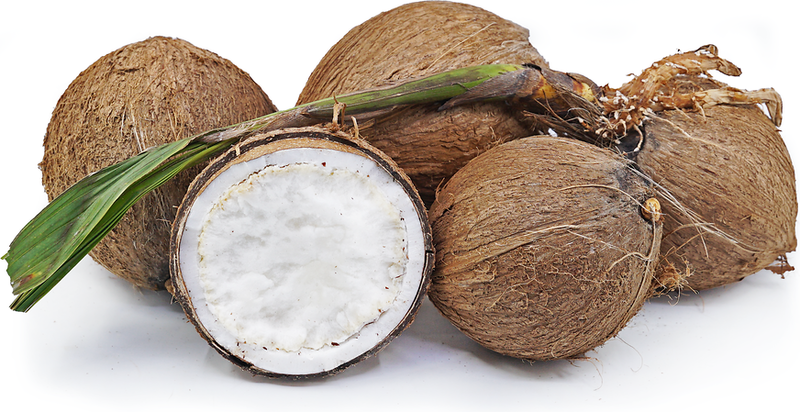 Sprouted coconuts are best suited for raw applications as their crisp and airy flesh is showcased when used fresh. 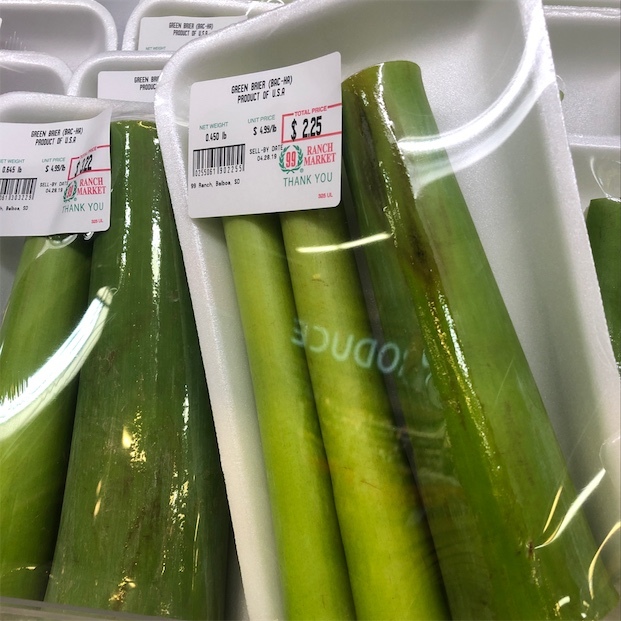 The spongy flesh is commonly sliced and served as a stand-alone snack, and the pieces can be dredged in the layer of coconut oil encased in the shell for added flavor. The flesh can also be cubed and mixed into fruit salads, green salads, lightly dipped in sauces and dressings, or mashed, cooked, and baked. In the To Live For! recipe book created by chef Eric Rivkin on www.vivalaraw.org, Rivkin recommends cubing Sprouted coconuts for croutons, slicing and dipping pieces into vegan Swiss fondue, or hollowing the center and using it as an edible bowl for fruit or mango curry. Rivkin also uses the coconut in watermelon cakes and simple desserts such as flan. Sprouted coconut pairs well with fresh vegetables and fruits such as sprouts, cucumbers, carrots, red onions, tomatoes, mango, strawberry, pineapple, and guava, and can also be served with vegan-based meats, chickpeas, tofu, fish, and poultry. The flesh should be consumed immediately for best quality and flavor, and if left unfinished, it should be stored in the refrigerator for 1-2 days. Coconuts are an important symbol in many tropical cultures around the world, often called the “tree of life.” Earning the name Queen’s Bread in Hawaii, Sprouted coconuts were believed to give energy as they contained the entire life force of a new tree, and royalty would consume the flesh to share the energy with the rest of the village. Continuing this tradition, Sprouted coconuts are trending in modern day vegan markets for their rich “life-giving” nutritional value. In India and Thailand, the coconuts are sliced open at local markets and are consumed fresh, out of hand and in Borneo, the slices are sprinkled with chile and salt for added flavor. In Costa Rica, innovative chef Eric Rivkin has been leading the Sprouted coconut movement by incorporating the wild food in his culinary classes at the Viva La Raw Project on the off-grid, sustainable La Joya del Sol farm. The Sprouted coconuts are foraged from local beaches and are transformed into many unique raw dishes such as Sprouted coconut filled with homemade sunflower seed nut butter, jaboticaba jam, and red banana as a version of a peanut butter and jelly sandwich. Sprouted coconuts are also being used as an alternative to bread by Miami Fruit in the United States, formed into “burger buns” and showcased at vegan produce festivals as nutritional sandwiches layered with tomatoes, cucumbers, vegan patties, and lettuce. Coconuts originated in India and Southeast Asia thousands of years ago and spread naturally via ocean currents and by human hand on ancient trade routes. Early Arab traders first brought coconuts to East Africa where they became well established among native peoples. The silk road linked the coconut northward to Europeans, and with further colonization and slave trade, the trees were soon brought to the Caribbean. Today, the Philippines is the largest producer of coconuts, and the fruits can grow in tropical climates all around the world. Sprouted coconuts can loosely be categorized as foraged food because they are not cultivated, but rather occur naturally in the wild, almost accidentally and often overlooked. To meet increasing demand, farms such as Miami Fruit in Florida have also expanded the tropical market by naturally cultivating and shipping Sprouted coconuts to consumers in different geographical climates across the United States, providing the opportunity to experience and taste the unique produce that would not normally grow in their states. To order Sprouted coconuts, Miami Fruit can be reached at miamifruitsales@gmail.com or through their website www.miamifruit.org and can ship to select regions within the United States. Recipes that include Sprouted Coconut. One is easiest, three is harder.